Description: This is a wonderful piece of history. This is a Husqvarna M40 pistol used by the Swedish military from 1940 until the 80s. 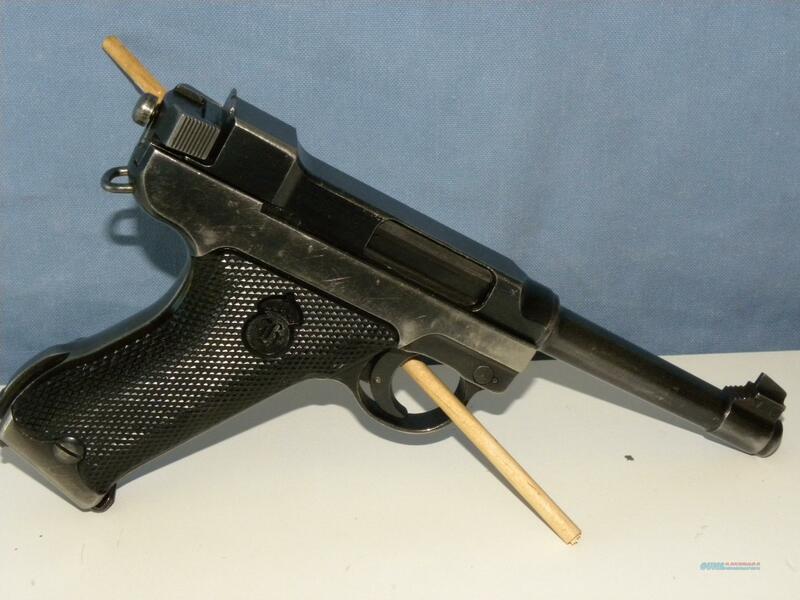 This pistol has the SS inspector mark of Sture Stenmo who retired in March of 1946 meaning it was made in the first 5 years of production. All serial numbers are marching and the bore and rifling are sharp and bright. The outer finish has worn with age and there are some small dings on the lower frame.